Now Available at my Create Fitness Boutique! So what’s a Trolly Dolley? It’s an eco friendly cute and stylish bag that holds net bags for your fruit and veg and large, strong bags for your food shop. 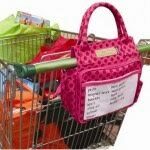 They are all packed in a bag that attaches to your trolley so you can see your shopping list and store your shopping bits and pieces. I took my dolly for a spin on the weekend, it was so easy, and my trolley looked “pretty” according to the shop assistant when i told her I was looking out for the environment. The net bags were particularly good because I didn’t need to use any of those thin plastic bags for my fruit and veg. Instead of having those funny green bags stashed in the back of your car, do your food shopping in style with a planet friendly, retro Trolley Dolly! Click here to start shopping! Free postage! Create Health & Fitness are now selling Asquith of London Clothing here in Perth and nationally through our Create Fitness Boutique! Asquith of London offers well cut, classic and elegant styles designed to flatter the wearer; the perfect, comfortable, and feminine capsule collection designed for Yoga, Pilates, Fitness or simply for living in… The collection is made from the softest, finest quality, environmentally friendly fabrics, chosen for their performance qualities and to feel great against the skin; brushed Certified Organic Cotton and breathable, moisture wicking Bamboo. Attached is a catalogue for you to browse, if there is anything that you particularly like and I do not have in stock, please send me an e-mail and I will send you a price list and organise the garments. If you would like a personal viewing to see the quality and sizing of the clothing, we can bring it to you. You will be able to see the clothes and try on for size before purchasing.